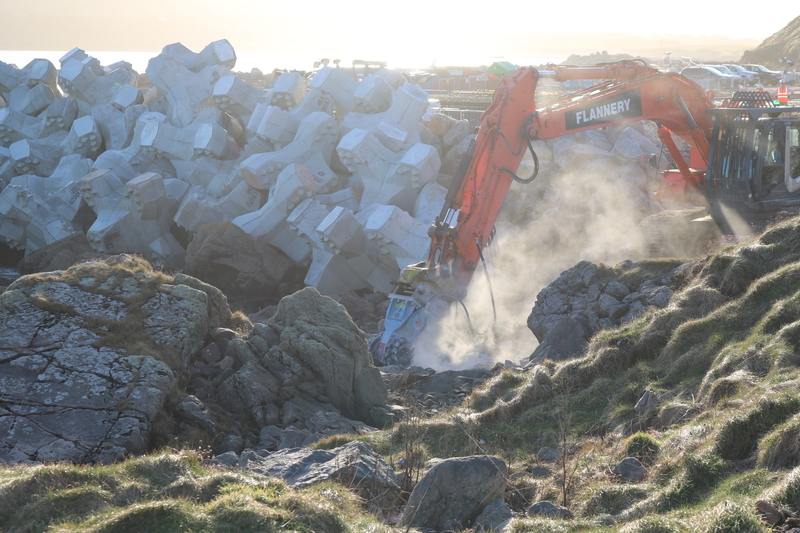 Aberdeen Harbour, one of the UK’s busiest ports, will be transformed to develop new facilities and associated infrastructure at Nigg Bay, to the south of the existing harbour. 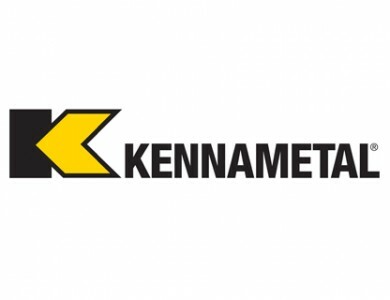 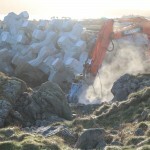 The £350 million project started in 2017 and is scheduled to complete in 2020. 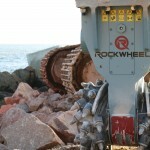 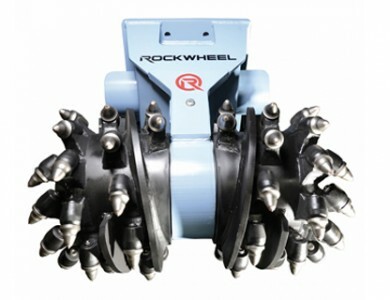 In a project where it is crucial to minimise the environmental impact of the construction work the Rockwheel is the perfect tool. 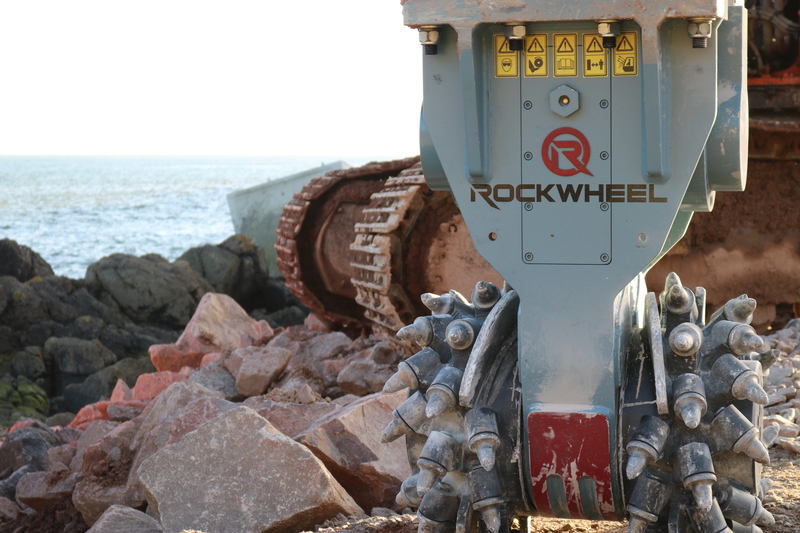 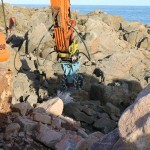 The G40 unit with gearbox drive was chosen to scale back the rock to provide a level surface for the blocks of concrete that act as a kind of breakwater to sit. 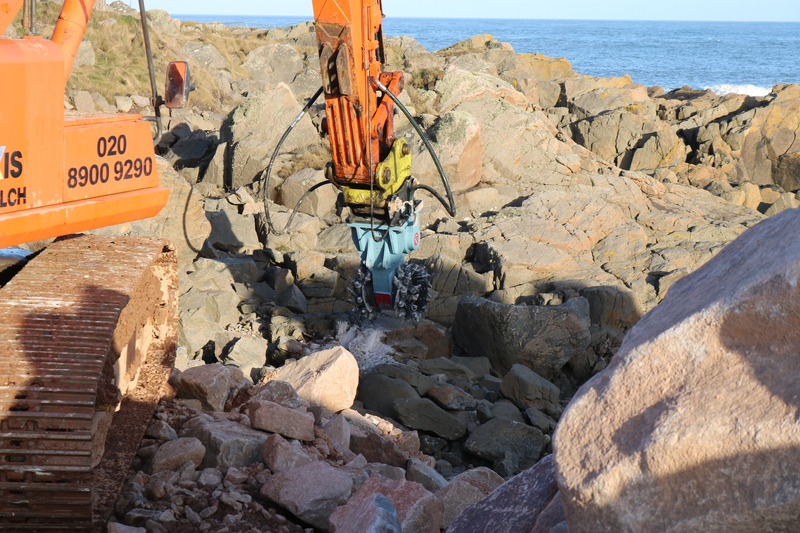 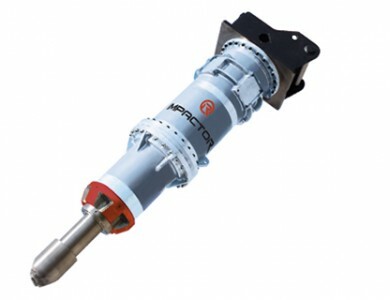 The G40 can move from dry conditions to cutting in water – particularly useful in a project like this and without the need for any adaptations there is no downtime involved in changing attachments.